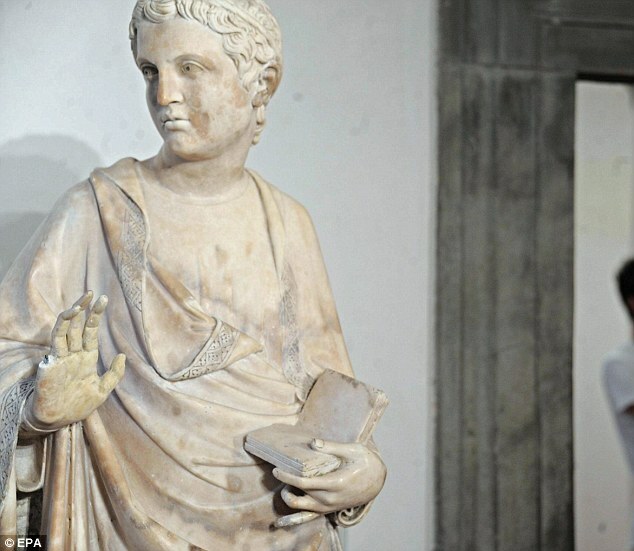 On August 6, 2013, an American tourist accidentally broke a finger off this statue while it was on view at the Museo dell'Opera del Duomo in Florence, Italy. The unnamed tourist was reportedly attempting to measure the digit when it snapped off. Museum director Timothy Verdun was unsure as to whether the work could be repaired, as the finger was in fact a recast from the statue’s original hand. The tourist apologized but is likely to face a hefty fine.